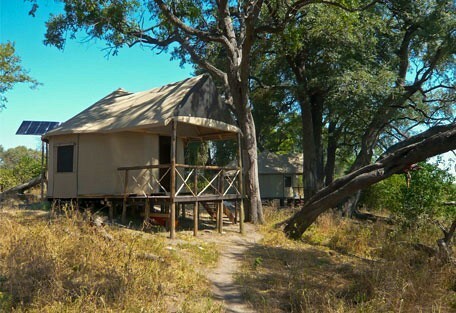 Camp Linyanti is a charming, comfortable and authentic safari camp located in its own private area on the Linyanti River. 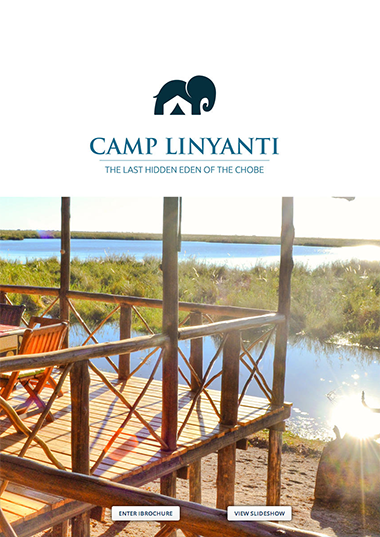 Children are welcome at Camp Linyanti making it a memorable family holiday location away from the crowds during peak season. 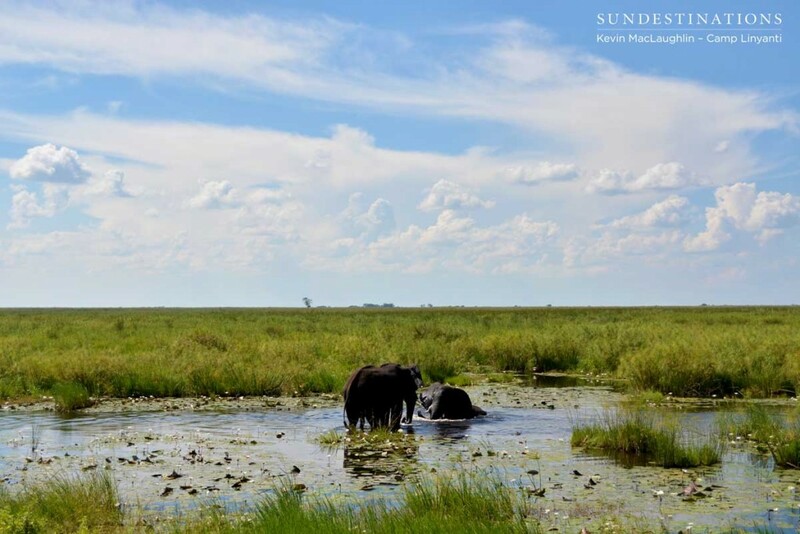 Far up in the north west of Botswana's Chobe National Park, in the Linyanti marshlands is one of Botswana's Hidden Secrets. 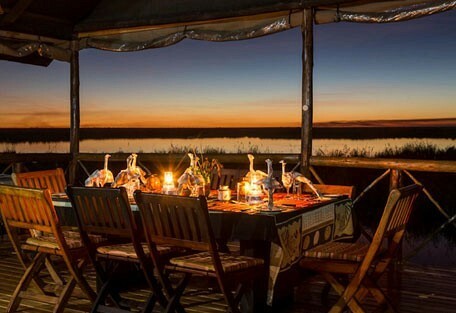 Camp Linyanti is a charming, comfortable and authentic safari camp located in its own private area on the Linyanti River. 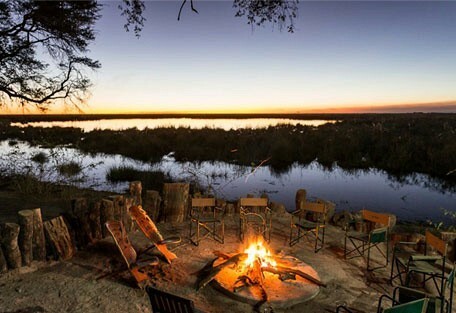 This is a water-filled wilderness and Camp Linyanti focuses on the sheer beauty of this game-rich area. 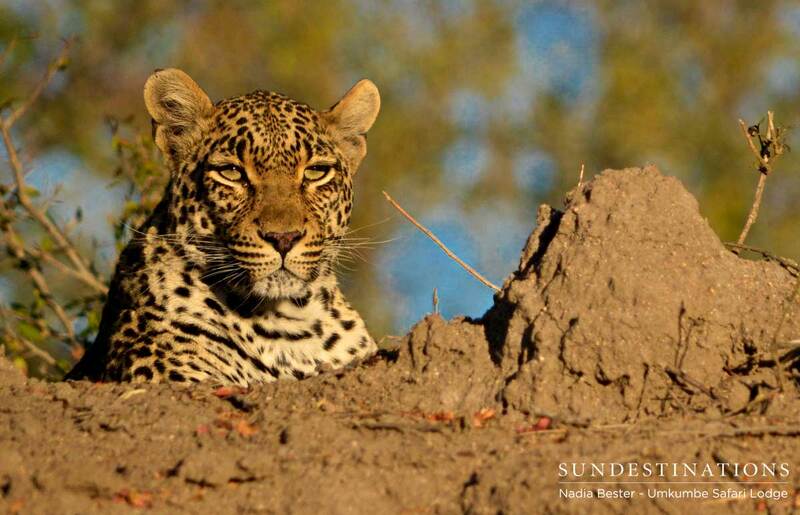 There are 5 individual Meru-style tents that sleep 2 people each, unless a 3rd bed is arranged uppon request. 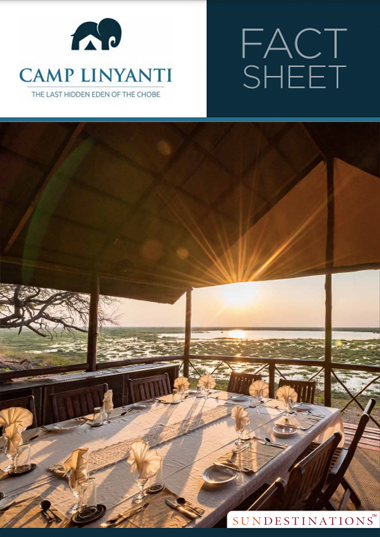 The main area of Camp Linyanti is all about the views with wide, wooden decks built overlooking the lagoons and waterways, all the way to the Caprivi Strip. Children are welcome at Camp Linyanti making it a memorable family holiday location away from the crowds during peak season. 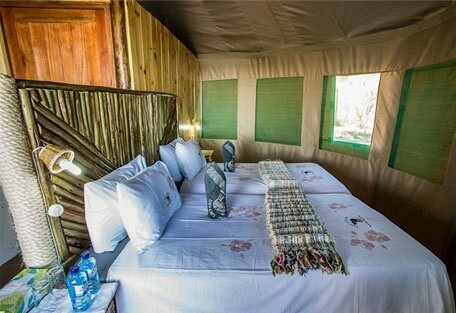 It also appeals to couples and romantics, including those recently married, who will find a special solace in the honeymoon tent. 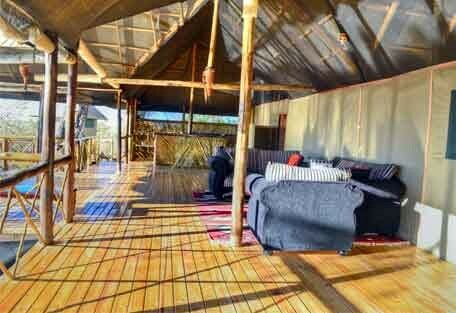 Guests are accommodated in individual canvas tents, that are unusually round in shape and include ensuite facilities and air-conditioning. 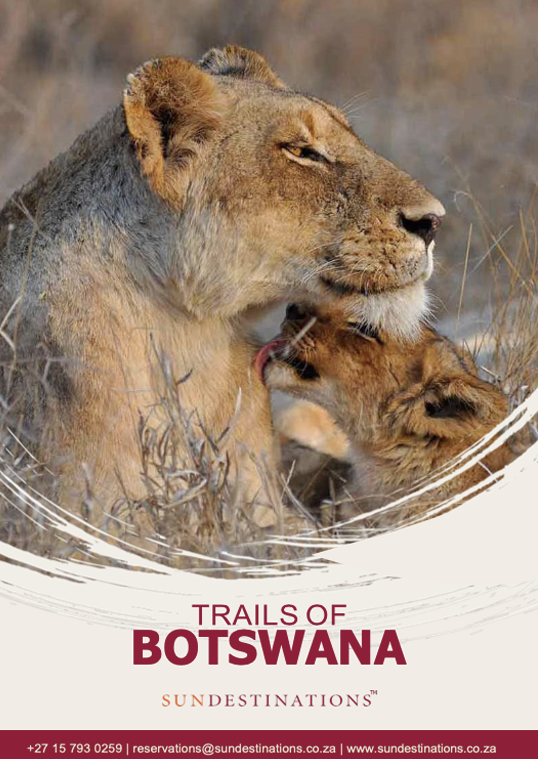 Camp Linyanti, aside from the privacy and comfort of guests' individual rooms and viewing decks, offers a bar, lounge, and dining area in prime positioning for unending views all the way to Namibia. 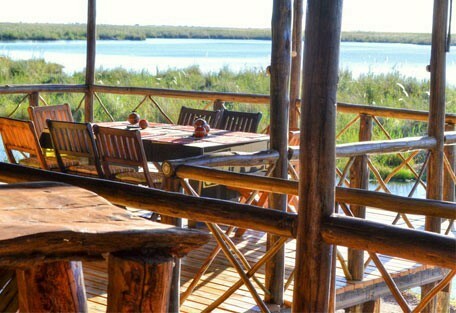 The main lodge has extensive wooden decks that overlook the bulging Linyanti River and the floodplains beyond it. 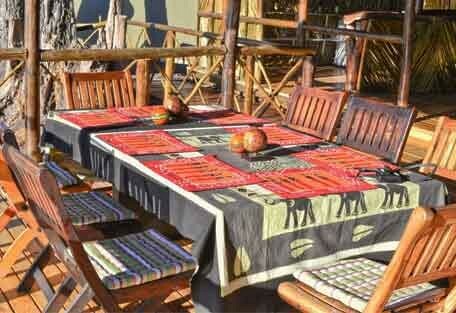 Meals can be served on the deck for a dining experience with the birds and whatever animals happen to be passing by. 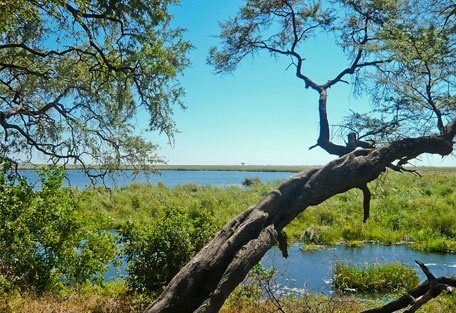 Relax on comfortable couches and gaze at the endless horizon, or pick up a pair of binoculars and scan the water's edge for interesting birds and animals. 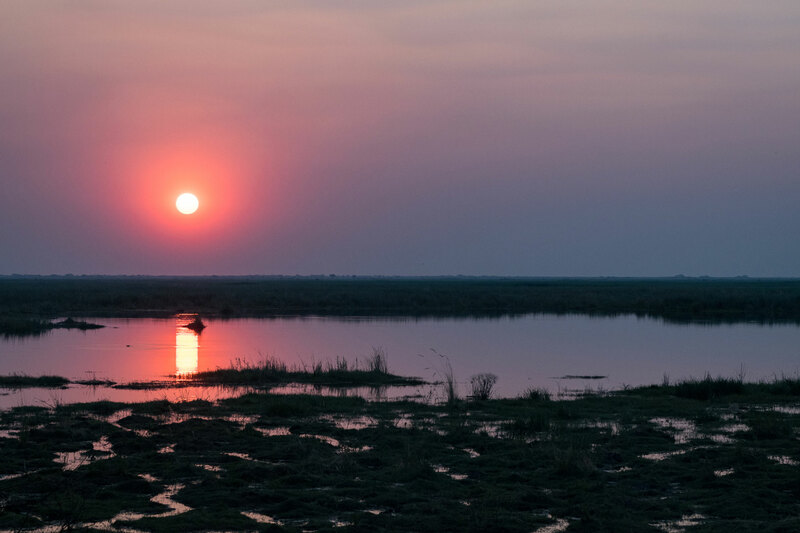 Accessing Camp Linyanti is an easy and enjoyable, including a scenic flight over the immense wetland area. 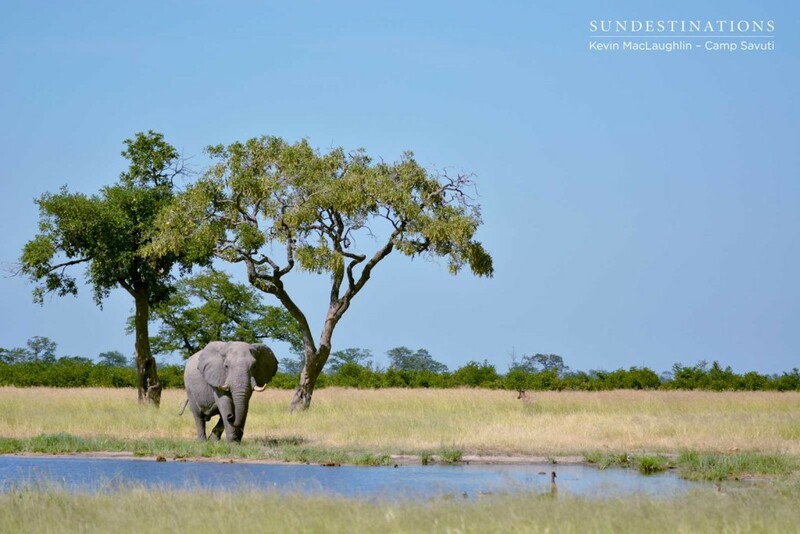 Guests visiting Botswana will fly into the country at Maun or Kasane airport, where they will connect with a light air transfer to Chobe National Park. Saile airstrip is the local airstrip used for guests visiting Camp Linyanti. 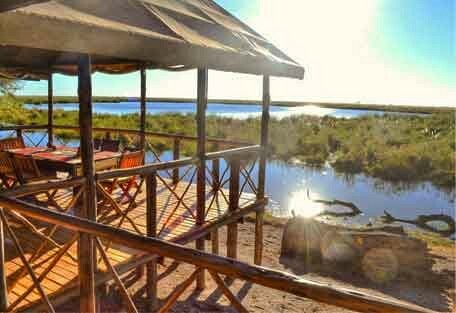 It is located in Chobe National Park and is a 1.5 - 2 hour drive from the camp. 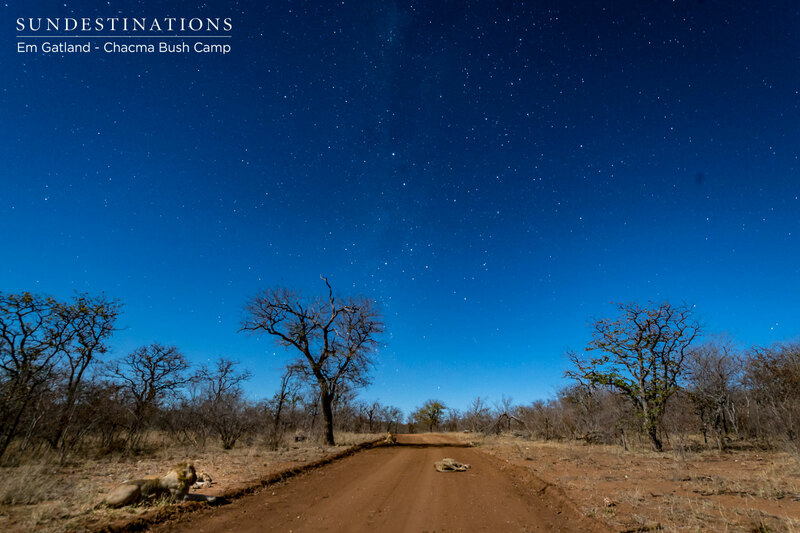 Upon arrival at Saile, guests will be introduced to a representative from Camp Linyanti who will then drive them the last leg of the journey to their destination. 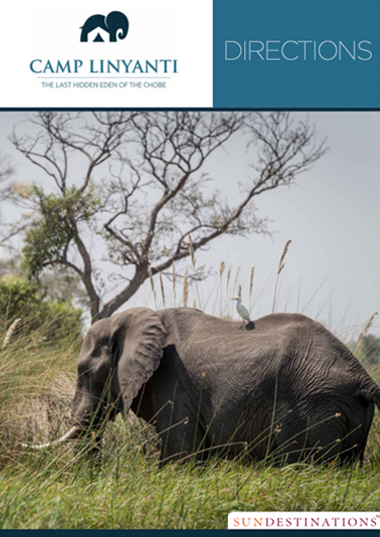 This drive can be considered a bit of extra game-viewing opportunity, as it traverses through the abundant Chobe and into the game-rich Linyanti.